Every day should be Earth Day (but FYI, the official date is April 22). We all have a special responsibility to the Earth, to each other and to the future to care for and use its resources wisely. With Earth Day Shout Out, there are 31 images that serve as reminders and talking points of what we can do to help conserve and preserve the environment. From LED and halogen light bulbs, to turning off water while brushing teeth, to walking and biking instead of driving, there are so many different ways we can make small changes in our lives to help. 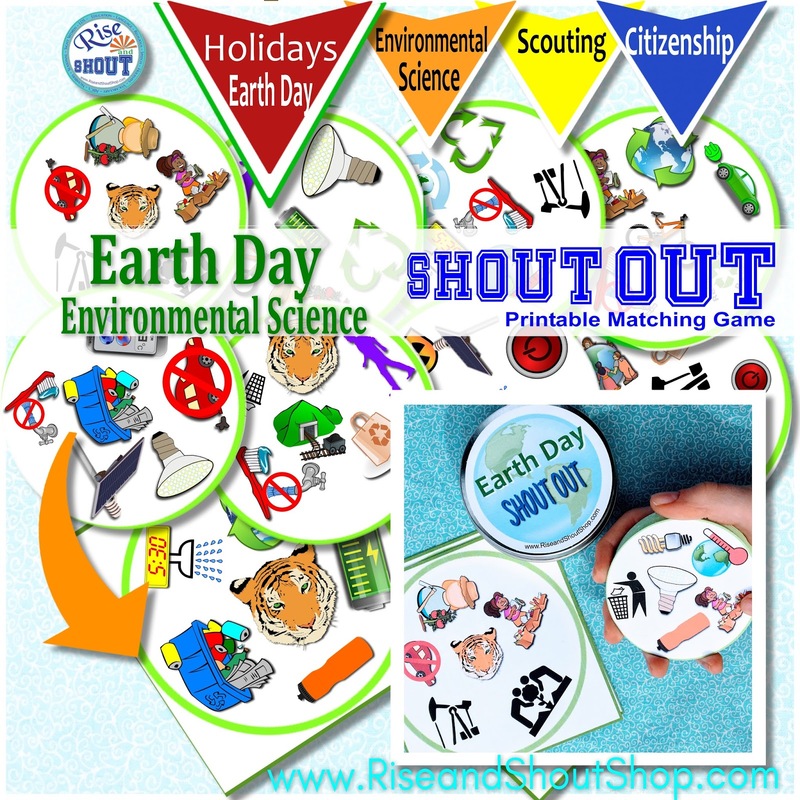 After playing Shout Out, your kids will naturally brainstorm and think of many different ways to help. 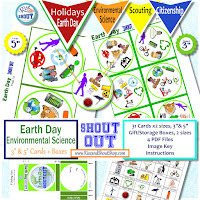 In addition, Earth Day Shout Out provides topics of discussion like energy sources - windmills, nuclear, electrical, coal - and global warming. A tiger represents the many endangered species across the world. Shout Out also comes with printable boxes to keep your cards organized. 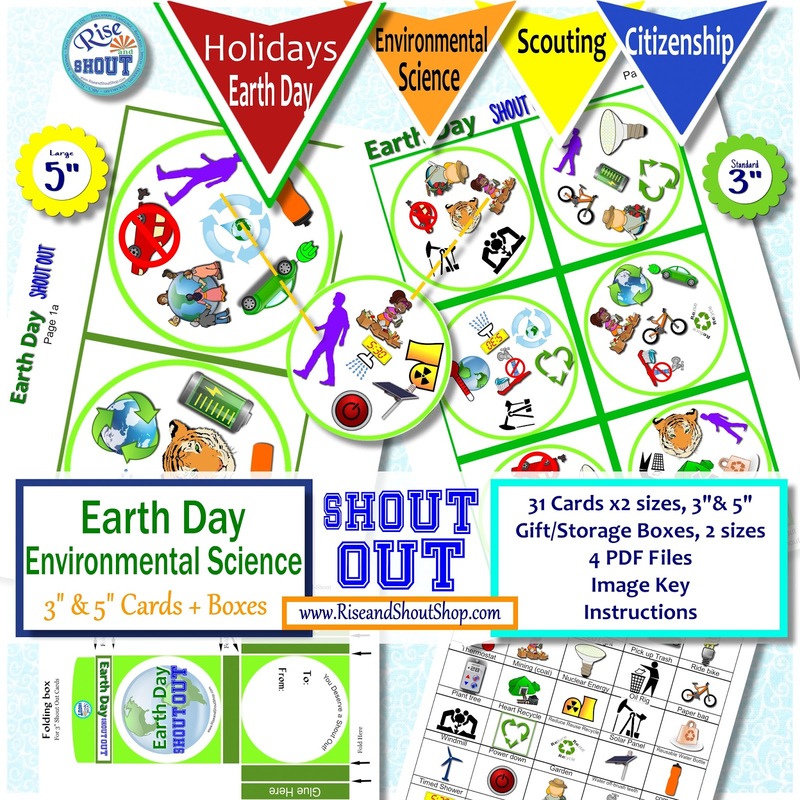 You can also use the boxes to store trinkets, stickers or awards to give out on Earth Day, or next time you discuss conservation. Download, print and play today. These Shout Out ideas are genius. SO fun! Thank you! I'm so glad you like them! Wonderful post. Every one should celebrate earth day in order to protect our environment.Cleaning your local area is the best way to celebrate earth day.Well, I'm a writer. 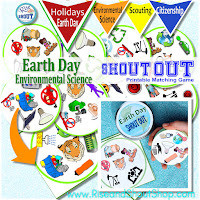 I have written an article about earth day .Refer this website for more about earth day.Thank you so much for sharing this post.